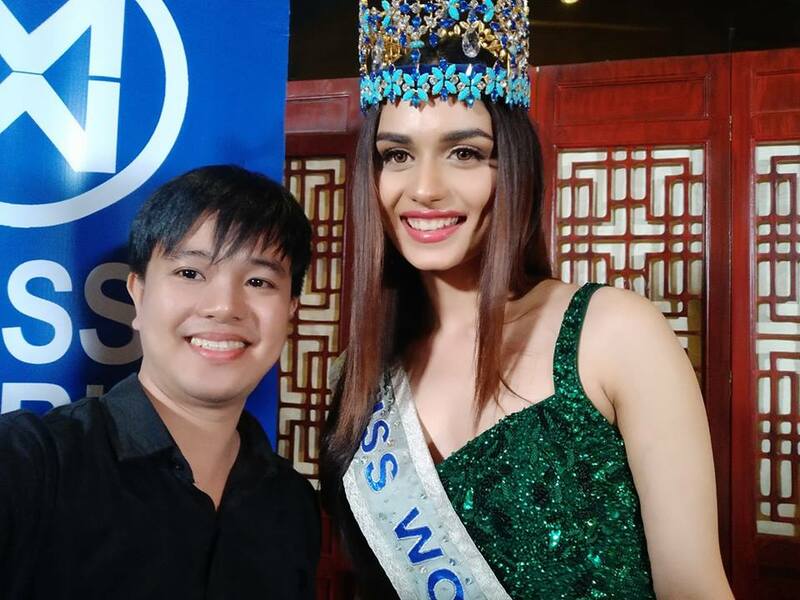 Reigning Miss World 2017 Manusshi Chhillar, 21, of India is currently in the Philippines. She and Miss World 2016 Stephanie del Valle, 21, of Puerto Rico will be among the judges during the coronation night of Miss World Philippines 2018 on October 7, 2018 at the SM Mall of Asia Arena in Pasay City, Metro Manila, Philippines. On October 5, 2018, Chhillar and del Valle accompanied Miss World Organization chairman Julia Morley, 79, and Miss World Philippines national director Arnold Vegafria, 48, in a press conference at the Resorts World Manila in Pasay City. During the event, Conan Daily put the reigning Miss World 2017 to the test through an impromptu question and answer portion using three cliched beauty pageant questions. CONAN DAILY: What is the best way to achieve world peace? MANUSHI CHHILLAR: The best way to achieve world peace I think is to…. It starts with the very basic level. Start believing that you belong to a bigger community not just the group you belong to, not just the religion that you practice or the culture that you practice. I think you should… The moment we all realize that we’re all just humans and we all have to live together is the best way to achieve… to achieve world peace because… You need to stop feeling like you belong to a certain group. You need to start feeling like you belong to a global (community). CD: What is your greatest regret in life? MC: I don’t have any regrets. I think… I think whatever I’ve done, uhm, in life, either it’s been a learning experience or it’s been wonderful memories so I absolutely have no regrets. CD: What makes you smile? MC: What makes me smile? Every day makes me smile. I think, uh… I … That’s a… That’s a very difficult question but I think every day, when I wake up and I know it’s a new day, it’s a new opportunity and I know that I can make something out of what’s waiting for us, that makes me smile. Whenever I travel, when I see people doing wonderful things across the world, that makes me smile. You don’t need a reason to smile. You just need to smile.